We to thank you for your continued support for the Seminary and Women's School at Mulungwishi. We also want to express our appreciation to those of you who are supporting our trip back to Africa for six months this year. This year, the Mulungwishi community lost one of our leaders known as the "Ancestor," Dr.Kajoba Kilimbo Kipai. 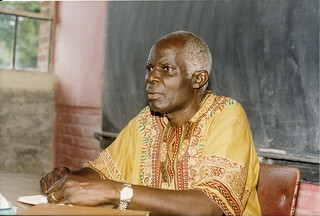 Dr. Kajoba was our first PhD and was the Dean of the Seminary for many years. His academic prowess in Hebrew and Old Testament studies influenced many students. However, it was his humility, love and wisdom that most touched us all. His Christian example will be sorely missed. Each year as former pastor students and their wives come back for the Master's Degree, we listen to amazing testimonies of their ministries. Together we praise the Lord and thank Him for His faithfulness to them and their ministries. We would like to share the experiences in the ministry from a women's point of view. Kat Zeng and Mulongo wa Mukalay are the wives of two of our pastors .. Theirs is an example of the dedication and commitment these pastoral couples have to the Lord and His work. After their studies at the Seminary and Women's School, the couples were appointed to churches by the Bishops for the ministry. Kat and her husband, Makeng, were sent to Lukonzolwa. It was a 10 day trip to get to their village and church. The voyage was very hazardous over very bad roads and also required a lake crossing in a very old boat in bad weather. They began their ministry by spending time listening to people to find the needs of the people in the church and the community. Among the biggest problems they found were low church attendance, poverty in the community and low educational level of the women. They increased their visits to people in their homes and in the hospitals. They also sought to help the poor with food and clothes of the babies. The result was many new people were added to the church. With the training that Kat had received at the Mama Doris Women's School at Mulungwishi (named after Lori's mother), she started "Lukonzolwa Mama Doris Women's School". From 2 to 4:30 PM Monday through Friday she taught 35 women knitting, sewing and cooking. The women were now able to knit clothes for their families, sew school uniforms for the children and cook and sell baked goods to help the finances of the family. She also started a parallel group of women to teach them how to read. The school was so successful that other churches began to send their women to get training. What a wonderful example of a woman who is using her talent and training to extend the Kingdom of God. Mulongo wa Mukalay and her husband served over an 11 year period in two districts and three churches before coming back to Mulungwishi of the Master's level. During this time they served in the war zone between various rebel groups and the government troops. There was a lack of food supplies and medicines. They lost three children from lack of medical care and had a still birth during this 11 year period. Still they stayed committed and were able to build two churches. Mulongo was part of the women who helped transport bricks, rock and wood as far as two and a half miles for the construction. She also brought water and food to serve the workers. She shares with us: "in spite of the difficulties faced during these 11 years, we have the certitude that the strong hand of God was upon us. He will always be our guide and our protector and we need to call upon Him in all circumstances." Our hearts are troubled and sad as we watch the election process in the United States, the refugee situations, and areas of conflict around the world. We ask for prayers as Zambia and D.R. Congo prepare for their presidential elections this fall. 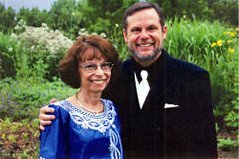 We also covet your prayers for Lori's healing, our travel and ministry at Mulungwishi.